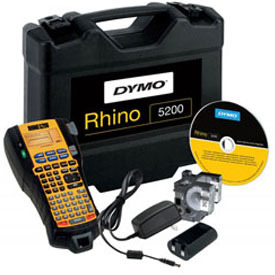 Dymo RhinoPRO 5200 Hard Case Kit - Choose the portable, affordable label printer that lets you install with confidence and label with pride. Show off your work with RHINO™ 5200 from DYMO®. Industrially designed for professional installers working in real-world jobsite conditions.